Chelsea are said to be monitoring AS Roma center back Kostas Manolas, but Manchester United are also reportedly having serious deliberations about signing the defender. According to Calciomercato, the Roma ace has a £32million release clause in his current deal that the Italian club are desperate to take out in a new contract they will hand to him in the coming days. 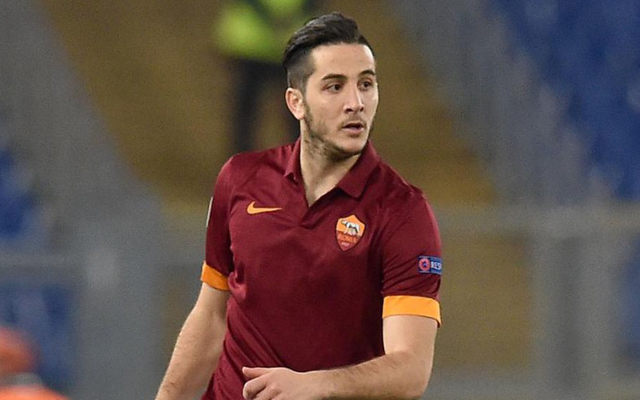 The move by Roma will signal to interested clubs their unwillingness to sell the player. Manolas was a target for Maurizio Sarri from his time at Napoli, and that was extended this summer when he moved to join Chelsea. Instead of bringing in a new center half, Sarri has kept faith with David Luis and Antonio Rudiger in his defence, but with Gary Cahill certain to leave the club in the coming months, Sarri might have to go hard in the market again, this time for defenders. Jose Mourinho is also reported by the Sun to be ‘desperately’ interested in Manolas, with Manchester United conceding seven goals in their first four games of the Premier League season.